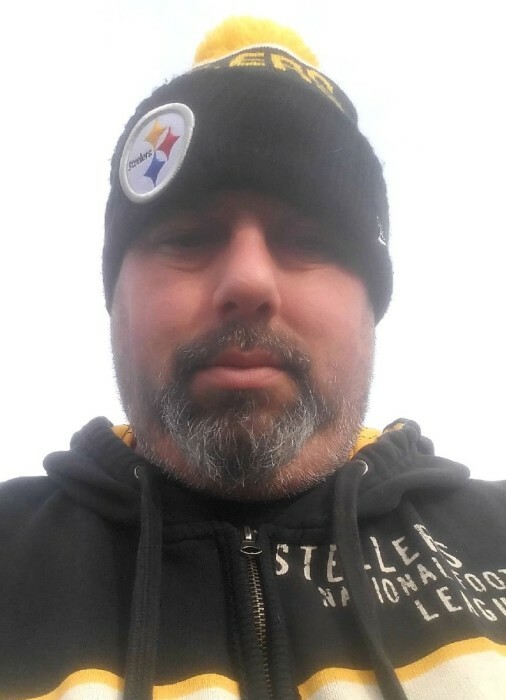 Gregory K. “Kenny” Lincoln II, 42, of Niles Ohio, passed away suddenly at St. Joseph Health Center on December 6, 2018. The son of Gregory K. Lincoln and Barbara L. (Alexander) Lincoln Gaydosh, was born on December 23, 1975 in Youngstown. He graduated from LaBrae High School in Levittsburg and was known by his many friends as Kenny. He was employed by Venture Plastics in Newton Falls as a Processor Technician. Kenny’s friends and family called him a “Gentle Giant” who loved to make people laugh and was always ready to help those in need. He loved family get togethers, celebrations, picnics and those special family trips often referred to as “Family Adventures”. Kenny enjoyed bowling, golfing, Putt-Putt Golf with his children, hunting, and fishing with his daughter Isabelle at Mosquito Creek Lake. He was an avid fan of the Ohio State Buckeyes and Pittsburgh Steelers and could be found watching either team each weekend during the football season. On May 17, 2003 Kenny married Jaqueline (Cope) Lincoln of Warren and together, they shared a happy family that includes his surviving wife; Jacqui Lincoln, children; daughter Isabelle “Belle” Lincoln; and son Joseph “Gus” Lincoln; parents; mother & step-father; Barb and (Paul Michael) Gaydosh; father and step-mother Greg and (Barb) Lincoln; sisters; Erica Brown, Stephanie Lincoln, Shanna (Chuck) Watson, Tiffany (Rosner) Triol, and brother; Wayne (Melissa) Watson; step-sisters; Tracy Braun, and Dorothea Burke; step-brother; Michael Hynst; aunt; Teresa Fry McCarthy; and uncles; John Alexander, and David Gaydosh. Kenny is also survived by his extended family and friends; sister-in-law; Lynne Ritter; brothers-in-law; Gus Cope, James Cope, and Todd Cope, Josh Cope, Matt (Patty Kelley) Cope, and sister-in-law; Angi (Brad) Cope-Lineweaver; countless nieces, nephews, numerous aunts and uncles of his wife and close colleagues and friends. He was preceded in death by his grandparents; father-in-law & mother-in-law Larry and Paula Cope, and mother-in-law Sally Cope. All who knew him are welcome to join the family at McFarland-Barbee Family Funeral Home from 4:00 pm - 7:30 pm Tuesday, December 11, 2018 with the funeral service to follow at 7:30 pm with Pastor Rodney Mullins officiating. The family is requesting family and friends to wear something of the Steelers or Ohio State in honor of the teams that Kenny loved to his family’s gathering. In lieu of flowers memorial donations may be made to his children’s college education fund or to the American Cancer Society. 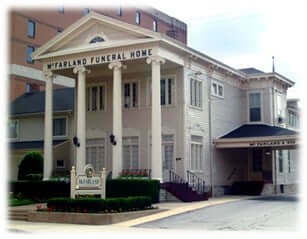 Arrangements have been entrusted to McFarland-Barbee Family Funeral Home, 271 N. Park Ave., Warren, Ohio 44481. Please visit www.McFarlandBarbeeCares.com to view this obituary and send condolences or order flowers.